Irish stocks were little changed in afternoon trading yesterday, in the aftermath of the ECB’s decision to leave interest rates on hold today. 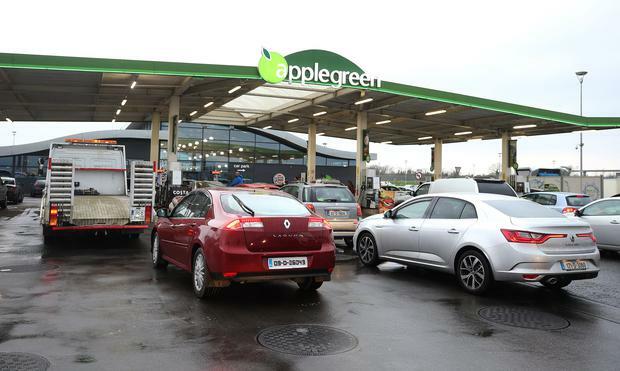 Petrol station business Applegreen was leading the gainers, with a rise of just less than 4pc, while Cairn Homes plunged more than 8pc after its three founders sold a chunk of shares. US stocks edged higher in morning trading Stateside, while Treasuries advanced as investors weighed key developments that continue to raise doubts about the strength of the global economy. The S&P 500 clung to a slight gain as a soft inflation reading potentially boosted the Federal Reserve’s new wait-and-see approach to rate hikes. Banking shares turned lower as heads of major lenders testified before a Congressional committee and the 10-year Treasury yield fell below 2.48pc. Boeing continued its slide, weighing on the industrials sector and helping to pull down the Down Jones Industrial Average. The dollar gained versus the euro after the European Central Bank reiterated its warnings that global risks continue to batter the region’s economy as it signalled no rate hikes for the rest of 2019. The pound advanced as the EU looked likely to delay Brexit for up to a year at its emergency summit in Brussels. The weaker-than-expected inflation data heightens the attention that will be paid to the Fed’s Wednesday minutes, as investors try to gauge what it will take to budge the central bank out of its steady approach. Elsewhere, Turkey’s lira strengthened as the government announced plans to bolster banks.